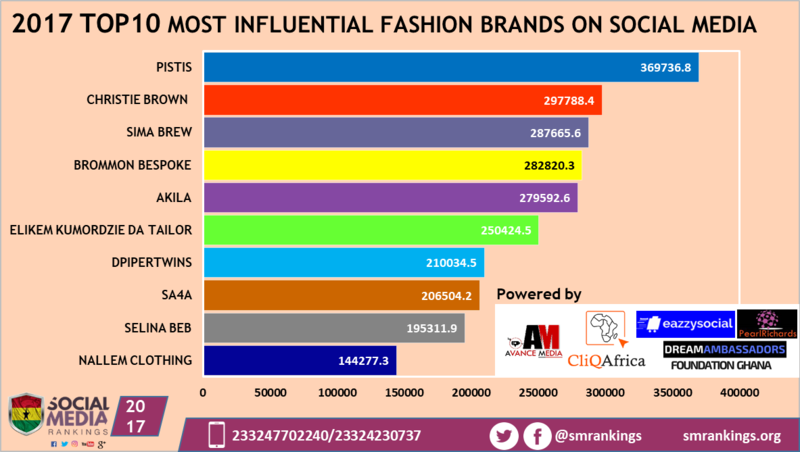 Ghanaian based fashion house "Pistis" has reclaimed its position from 2016 frontrunner, "Christie Brown" to rank as the Most Influential Ghanaian Fashion Brand on Social media according to the 2017 Ghana Social Media Rankings. 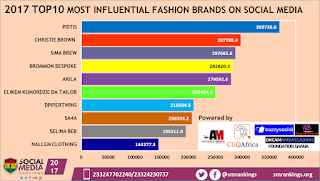 Pistis which was the 2015 frontrunner, also gained the highest number of new followers in 2017 among fashion brands in Ghana totaling 48400 and maintained a high level of engagements across Facebook, Twitter and Instagram. Following keenly is Christie Brown which also recorded 14498 new followers across social media. New entrants for the annual ranking include: Sima Brew, Brommon Bespoke, Elikem Kumordzie Da Tailor, Dpipertwins and Nallem Clothing.